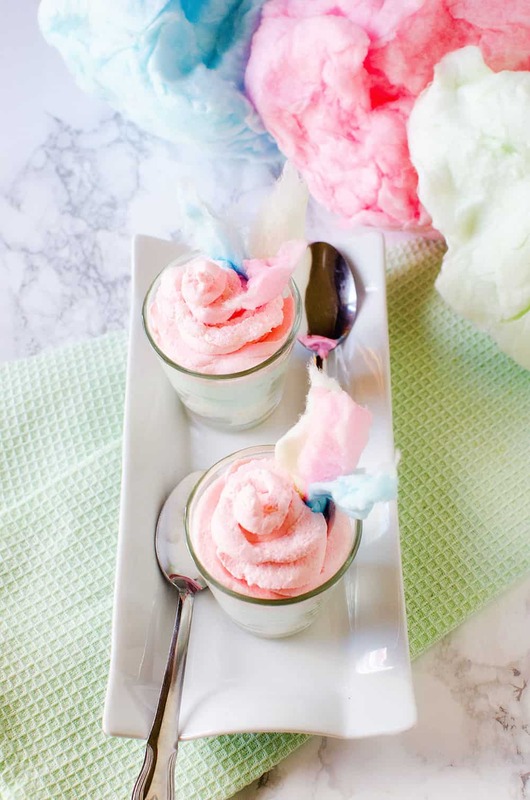 Make these creamy cotton candy dessert shots that will remind you exactly of your favorite state fair food! 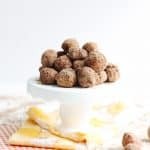 Perfect for parties – easy and delicious. 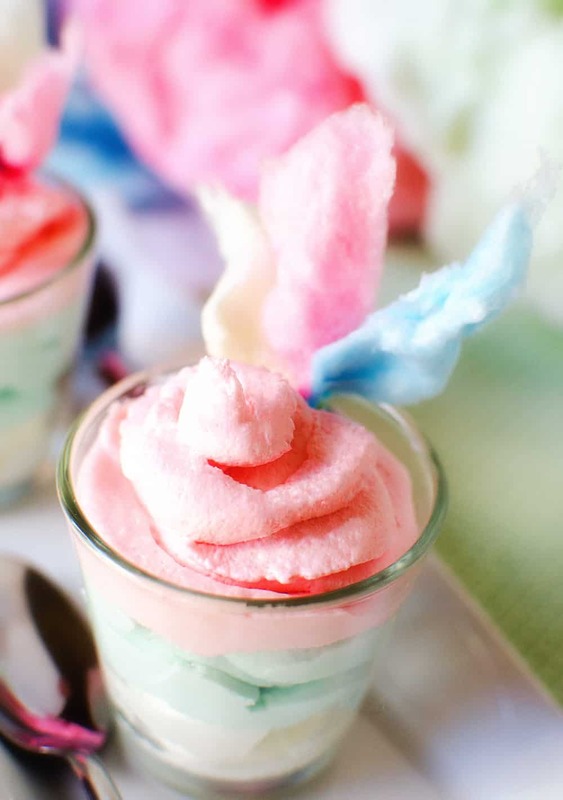 Cotton candy recipes are so popular right now! I’m wondering if it’s because everyone remembers going to the state fair and eating it when they were young. I know we did. My parents loved to take us and buy us elephant ears and cotton candy – and in exchange they’d get to tell us long stories about the time they owned a farm (they really did!). The time my dad kissed their pig. The ducks, cows, and chickens. I have to say . . . the state fair treats were totally worth it. 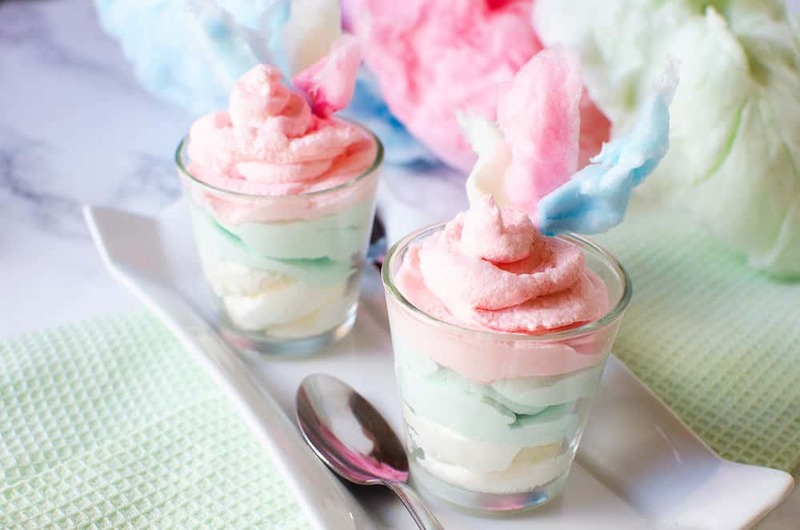 Recently we did a cotton candy rice krispie treats recipe and now we’re upping our game a bit with these cotton candy dessert shots. 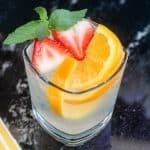 Why dessert shots? Because they’re tiny and that means built-in portion control. Which some of us need . . . not naming names. 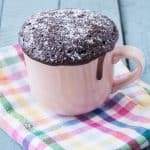 Dessert shots are also perfect for parties and everyone loves how “cute” they are. 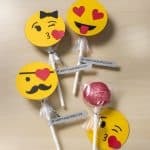 I’d have to agree – and they are very easy to make. 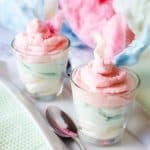 If you’re looking for a dessert recipe that takes 10 minutes and makes everyone happy, these cotton candy dessert shots are for you. Place the cream cheese and sugar in a bowl. Mix together until smooth, adding the cream (or milk) in small increments at a time until you reach a soft icing consistency. Add the cotton candy flavoring and mix well. 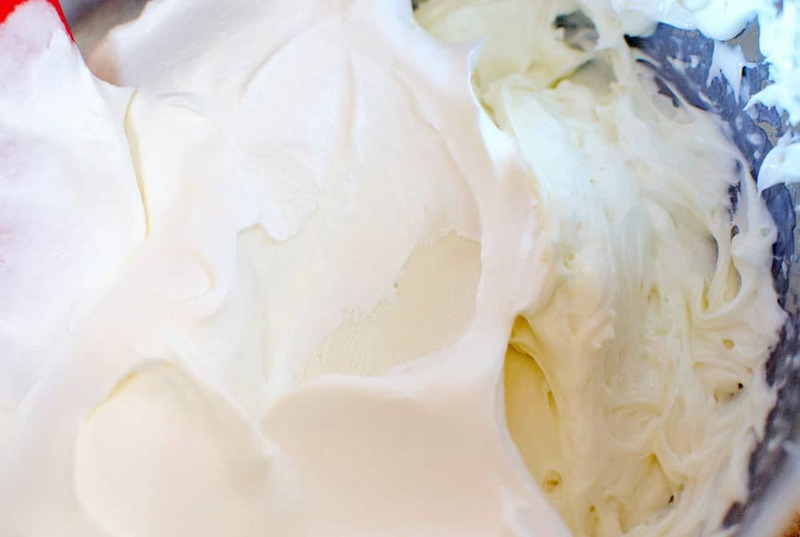 Divide the Cool Whip evenly in the bowls and fold gently until mixed in and distributed throughout. Use piping bags or sandwich bags with the corners snipped, pipe the cream cheese mixture into the glasses in layers. 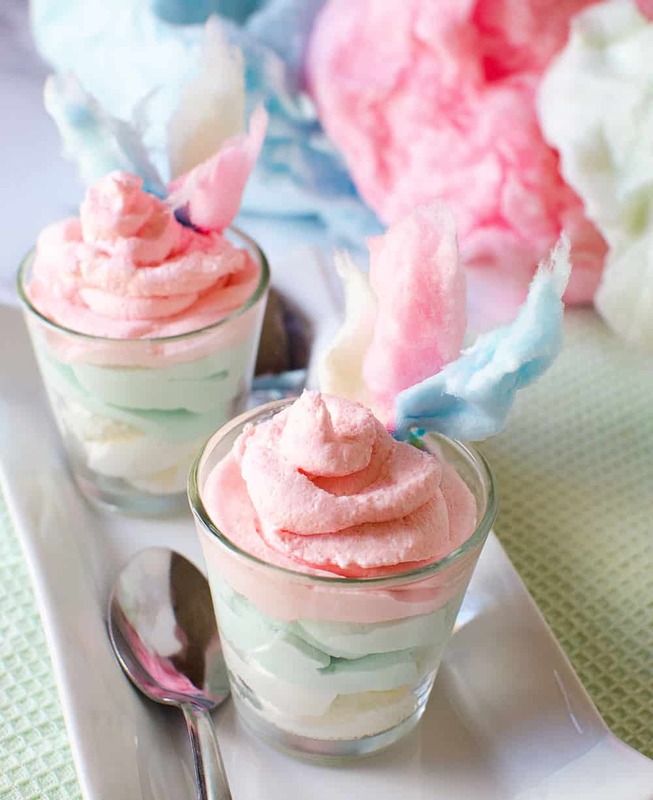 Garnish with tufts of cotton candy and enjoy! 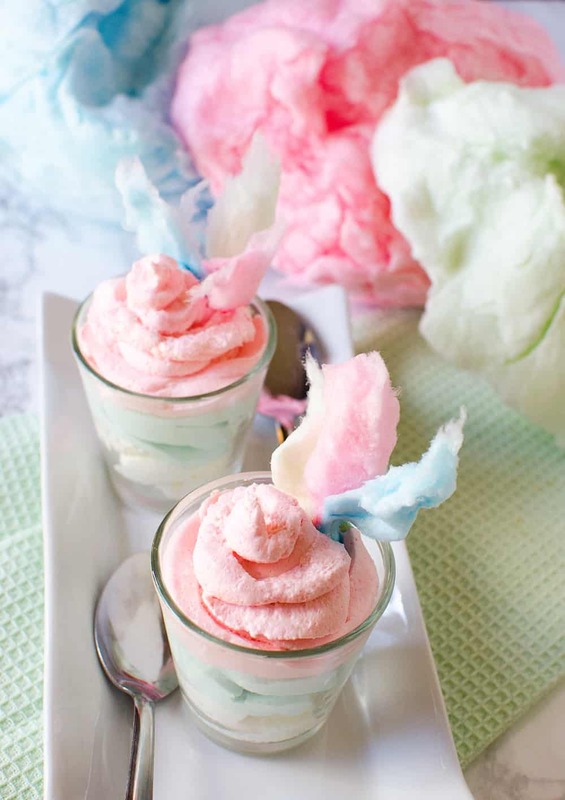 Make these creamy cotton candy dessert shots that will remind you exactly of your favorite state fair food! 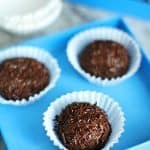 Perfect for parties - easy and delicious. I love that these are delicious and look pretty too. 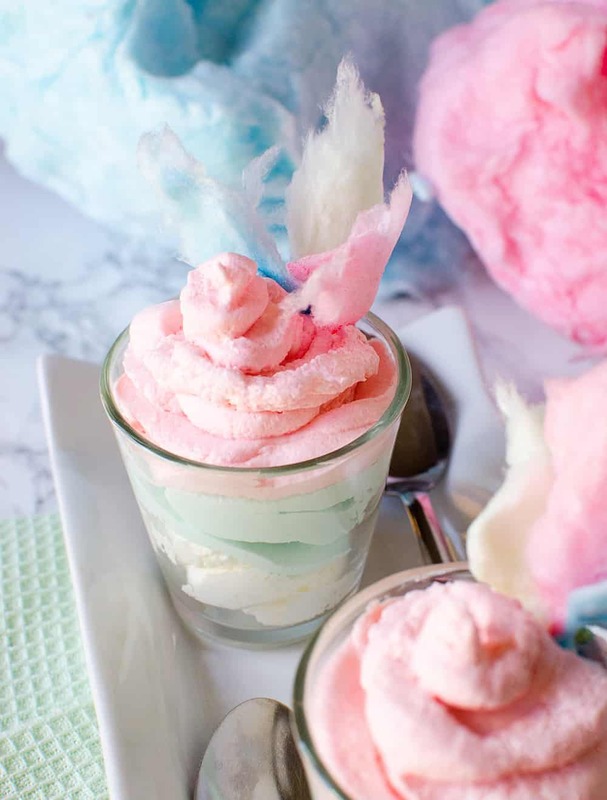 If you’re looking for some additional cotton candy recipes to float your boat, here are some from blogging friends!